5-1/2 hour cruise aboard the "Belle of Louisville"
This is one of those surprising trips that has been a total sell-out the last couple years and everyone just LOVED it! 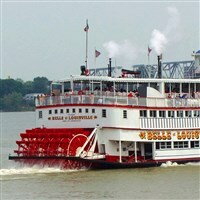 At the perfect time of year to see all the beauty offered along the banks of the Ohio River, we'll set sail on America's last true Mississippi River Steamboat still in operation, the "Belle of Louisville"! Plus, experience the glow of thousands (yes thousand's!) of intricately-carved pumpkins during a marvelous night-time Spectacular...and much more! Breakfast included at the hotel as we will be up bright and early to start our day. Today we have a real treat with a 5-1/2 hour cruise aboard the historic "Belle of Louisville" as we sail from Madison, Indiana to Louisville, Kentucky with beautiful scenery around every bend. While onboard you may wish to participate in trivia games, bring a deck of cards for fun, visit the engine room, dance, or just sit outside and enjoy the gorgeous fall colors as you watch the world float by! Full buffet lunch is included onboard as you cruise down the river enjoying the shoreline sights and fall colors. This is just the perfect time of the year to see all the beauty offered. 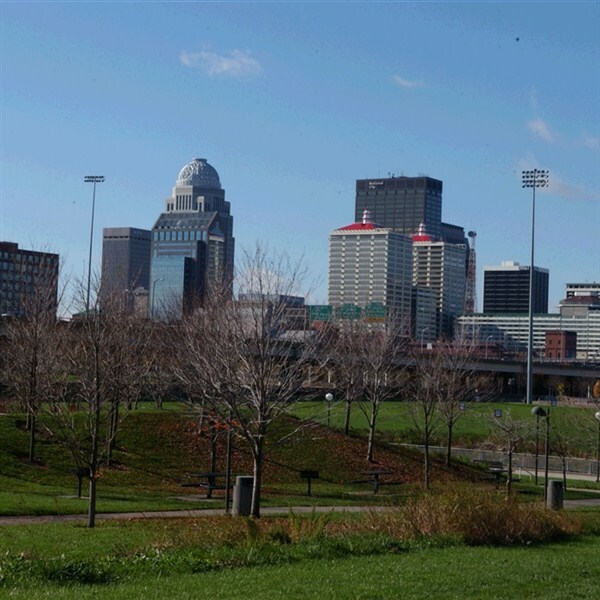 Our motorcoach will meet us in Louisville as we make a quick stop at our area hotel before our fun evening out. The next feature of this autumn tour is one of the country's best kept secrets! A very special dinner will be included...and then...originating in Oxford, Mass., Iroquois Park in Louisville now presents the "Jack 'O Lantern Spectacular", with over 5,000 carved pumpkins lining a walking trail illuminated at night, and featuring over 100 that are carved into amazing intricate works of art by both professional and local artists - it is jaw-dropping awesome!! Staged in themed scenes with music, walk the 1/4 mile "Pumpkin Trail" and feast your eyes on this magical display depicting people, places and scenes from popular culture to old-time favorites, and everything in between! Such a unique opportunity to be be missed! There's just nothing else like it and our past groups are still raving sbout it! Breakfasat included at the hotel; but you may want to save room for our Backstretch Breakfast Tour at the Horseman's Track Kitchen. 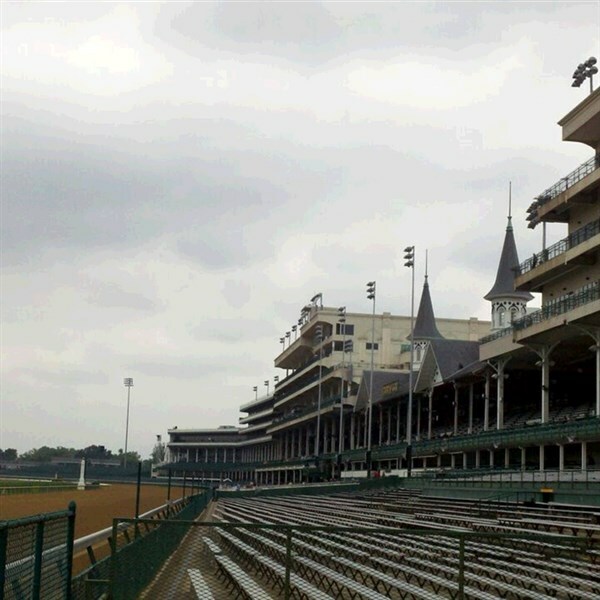 This is a once-in-a-lifetime chance to spend a morning on the backside of Churchill Downs Racetrack where you can get a behind the scenes view of Thoroughbred racing at the "World's Most Legendary Racetrack." 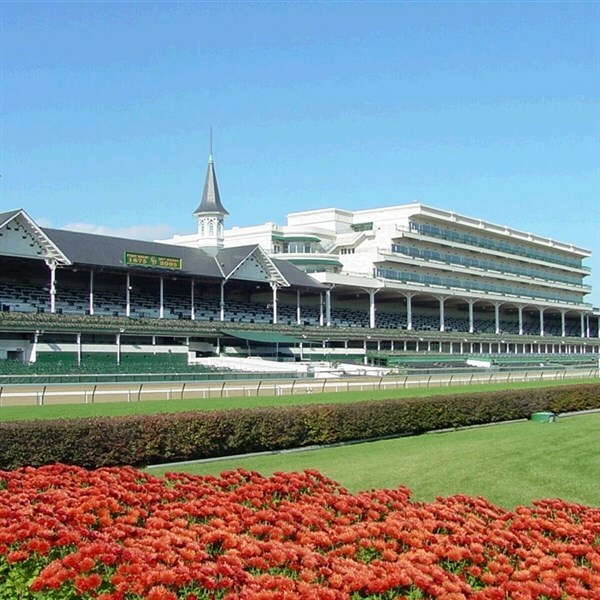 Your visit also includes admission to the Kentucky Derby Museum with two levels of family-friendly interactive exhibits as you lear everything about the world of horse racing and the special care taken for these beautiful creatures. You will have a change to meet resident Thoroughbred and miniature horses and visit the Finish Line Gift Shop. By lunchtime we arrive at Joe Huber's Family Farm and Restaurant for a fall buffet lunch with delicious choices. This family owned and operated farm and restaurant offer fresh home cooked meals, just as they did for farm hands many years ago. After lunch, be sure to check out the farm market and Soda Pop Shop. All and all, a fabulous fall trip! Includes: Deluxe motorcoach transportation, 2 night's accommodations, 2 breakfasts, 2 lunches, 2 dinners, all touring and admissions as described in itinerary, luggage handling and taxes.